Rafael Nadal is the new face for a fragrance by the house of Lanvin, L`Homme Sport, which will appear on the market in April 2009, reflecting Nadal's youth, energy and vitality. 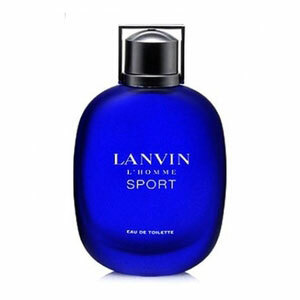 Lanvin L'Homme Sport is strong and opulent. Top notes will refresh you with aromas of bergamot and lemon, adding aromatic notes of sage and lavender in a heart. A base comprises musk and musk. This fragrance is characterized as elegant, masculine and modern. It is available in amount of 100ml (3,4 oz) EDT.